I am having trouble booking, the system is not working? The roller booking system is designed to work best with Google Chrome, unfortunately it has issues with Internet Explorer, and sometimes with Safari, most other browsers will work fine. Do I have to book online or can I just walk in? 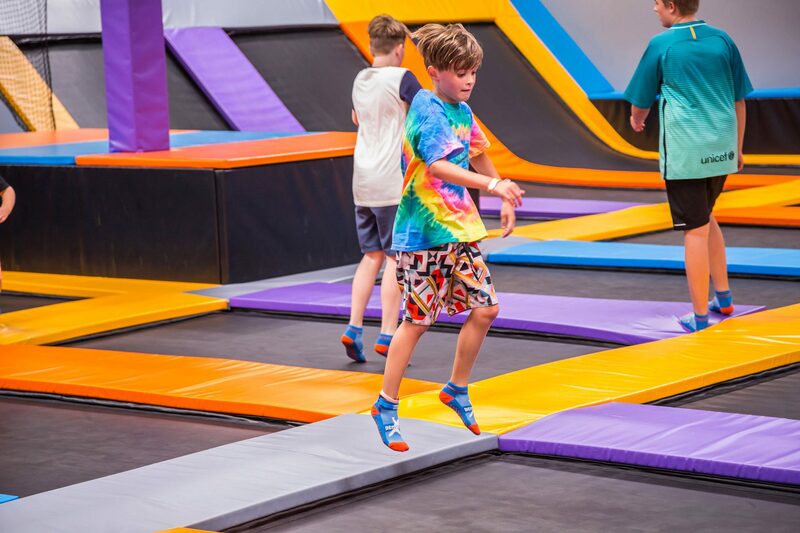 You can just walk in and pay however we recommend booking online as sessions can sell out fast, and once sold out for the session we are unable to take any more jumpers for that session. We are unable to take phone bookings however you are more than welcome to drop in if you would like to book for a future session. Do I need to sign a waiver for all the participants? Yes, you do, as the adult, you will sign the initial waiver and add Minors to the waiver. The electronic waiver is valid for 12 months and will make your booking process a lot faster. There is a link to the electronic waiver in the pricing section of the website. We have a manual waiver that can be printed and signed in advance, located at the bottom of the home screen. Do I need rebound grip socks? Yes, we require all jumpers to wear Rebound Grip socks – don’t forget to add them to your cart when booking. Can I buy a multipass and use it to bring in a group of children? No, The multipass is for a single jumper for multiple visits. What is the best way to book a large group? We offer a group rate for groups of 20+ and this can be booked online or by contacting us directly. How long do you get to jump? Sessions are for 1 hour (or 2 if selected) and run on the hour. How can I tell if sessions are full? The booking site will show availability of each of the remaining day’s session for the date selected. How do I redeem a multipass or gift card or free pass? You will be sent a voucher code to enter at the payment screen when you book a session, this is how to redeem the pass.